This sounds super cute. I can always use a light and fluffy novel and I think this will fit the bill. 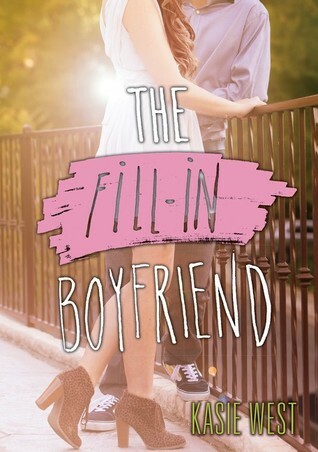 This sounds really cute and I've added it to my tbr list. :) Here's my pick. Awe a sweet and fluffy YA book. This has been on my watch list for soooo long!! I am dying to get my hands on it, love me some Kasie West! Who doesn't love a good Kasie West book?? I have thoroughly enjoyed her other books, especially On The Fence. This one seems like it may be the best yet though! Great pick! That sounds really cute. I STILL haven't read anything Kasie West and I really need to. I got On The Fence from the library once, but I never got around to reading it. Some day! This sounds really cute! It seems like the perfect easy read. I can't wait to check it out! I read Kasie West's book, On The Fence, recently and I really enjoyed it! I'm really looking forward to this release! I really enjoy her writing style! I am looking forward to this one too! I have heard great things about Kasie West's books so I'm sure this one will be just as awesome! That sounds like a really fun read, light and entertaining too. I hadn't heard of it, but I'll be adding it to my TBR list. Great pick! Thanks! My WOW. Can't wait for this one! I hope you like it! I am really looking forward to reading this! I loved her other contemporaries, but I haven't read her Pivot Point series yet. oooh, I've been looking for a new YA contemporary. This one sounds like it might be the one! Thanks for sharing! Cute pick! Not my kind of read but I do hope you enjoy it once you read it!